Make sure to shop downtown with your Holiday Shopping Passport over the holiday season for your chance to win up to $3,000 in downtown money. There are more than 140 places to collect stamps this holiday season in downtown. 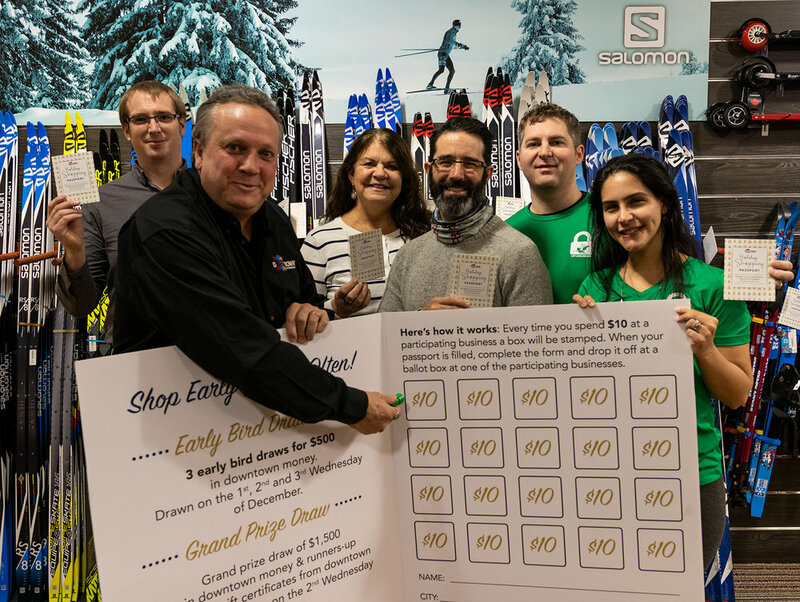 The passports feature three early bird prizes of $500 in downtown money to be drawn December 5th, 12th and 19th with the grand prize of $1,500 in downtown money to be drawn January 9th. The Holiday Shopping Passports program rewards people for supporting local businesses by shopping, dining and enjoying downtown. Last year’s program saw shoppers stamp a whopping $1.9 million worth of Holiday Shopping Passports. -> Every time you spend $10 at a participating business, a box on your passport will be stamped. -> When your passport is filled (20 stamps), complete the form and drop it off at a ballot box at one of the participating businesses. -> Each completed passport is a ballot for a draw to win downtown money. There are more than 100 participating businesses downtown. -> Bring your Holiday Shopping Passport downtown on November 23rd for Black Friday as more than 100 downtown businesses put on some of the biggest sales of the year. Also, the DBIA’s annual promotion of two hours free street parking starts on Black Friday and runs until the end of December thanks to the City of Peterborough Parking Division. Check out downtownptbo.ca for the full list of participating passport locations.